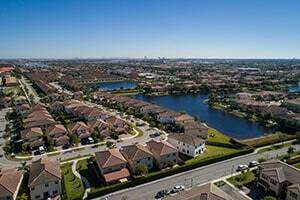 Located one mile from the Miami-International Airport, the city of Doral has 53,426 residents. Hispanics represent 82% of the total population and the city has a high concentration of people from Venezuela, Cuba, and Columbia. Spanish is the primary language spoken in 74.5% of the homes. With its close proximity to the airport, the city has many import and export companies, as well as retail shops and banks. Doral has over 10,000 business located within the city that employ over 150,000 people. Large companies, such as Univision, Sears, Carnival Cruise Lines, and Brinks have offices in Doral. A personal injury claim can arise when a person is injured as a result of negligence of someone else. Injuries can range from minor to catastrophic, even fatal. Catastrophic injuries often change the quality of a person’s life. They may require months of medical treatment, surgeries, and subsequent rehabilitation. Catastrophic injuries impact the victim physically and emotionally. Permanent injuries may require a victim to learn how to function. When the injured party is the primary income for a family, the family is often under emotional and financial stress to make ends meet. If you or a loved one was injured in an accident resulting from the negligence of another, contact the Doral personal injury lawyers at the Wolfson Law Firm. Our Doral personal injury attorneys can answer your questions about income loss and medical expenses, as well as discuss what options may be available for resolution. If you or a loved one has suffered injuries or a fatality as the result of a personal injury accident and would like to speak to our Doral personal injury lawyers, contact the Wolfson Law Firm at (305) 285-1115 for a free consultation. Why Contact a Doral Personal Injury Accident Attorney? If you or a loved one suffered injuries as the result of the actions of another, contact the Wolfson Law Firm at (305) 285-1115 for a free consultation. Spinal Cord – Damage to the spinal cord can result in partial or full paralysis. In some cases, reflexes and breathing are inhibited by the injury. Catastrophic injuries will result in long-term medical care and often require months, if not years, of rehabilitation. In addition, they may require in-home care and transportation. These injuries often impact the victim’s quality of life, many times requiring them to learn how to function. The Doral Personal Injury accident attorneys at The Wolfson Law Firm can help you and your family to get on the path of recovery. If you or your loved one has been the victim of a personal injury accident, contact the Doral personal injury accident lawyers at The Wolfson Law Firm at (305) 285-1115 for help.